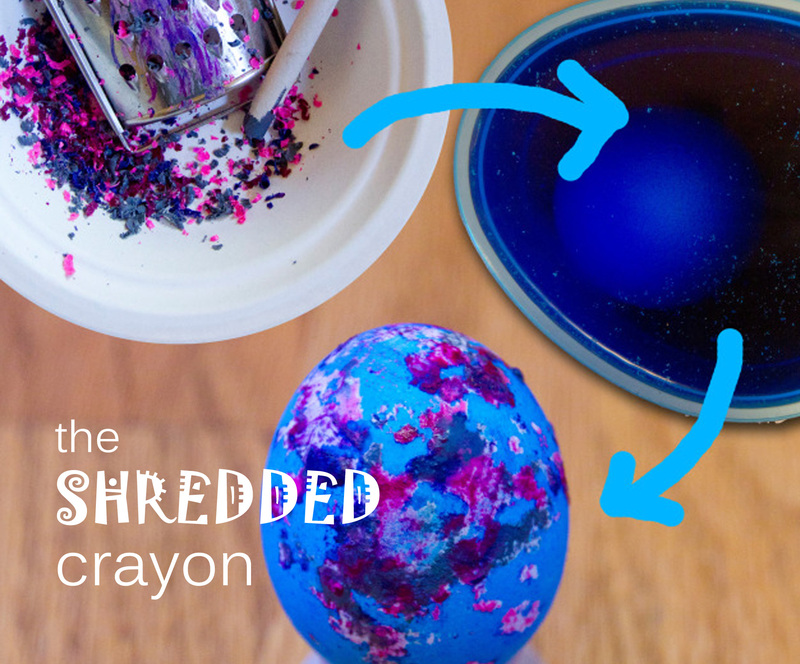 This time, we shredded the crayons (like here) but used very hot, boiled egg. It melted all of the pieces and created a texture on the surface. We patted it with paper towel a little and when it cooled down a little, we colored it. Then we added some “flowers” – dots of acrylic paint onto the beautiful texture. 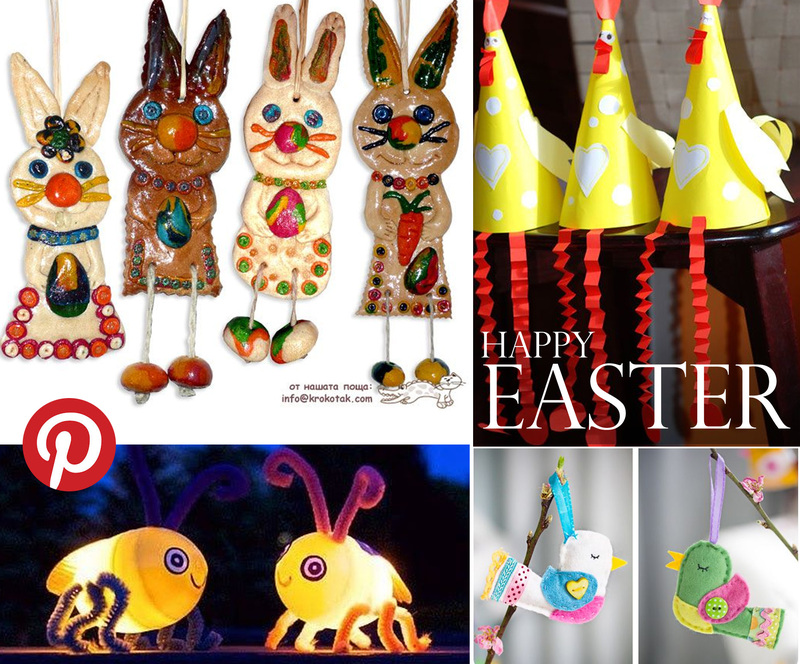 Pisanky are Ukrainian Easter eggs that are done with bee-wax and a special tool. 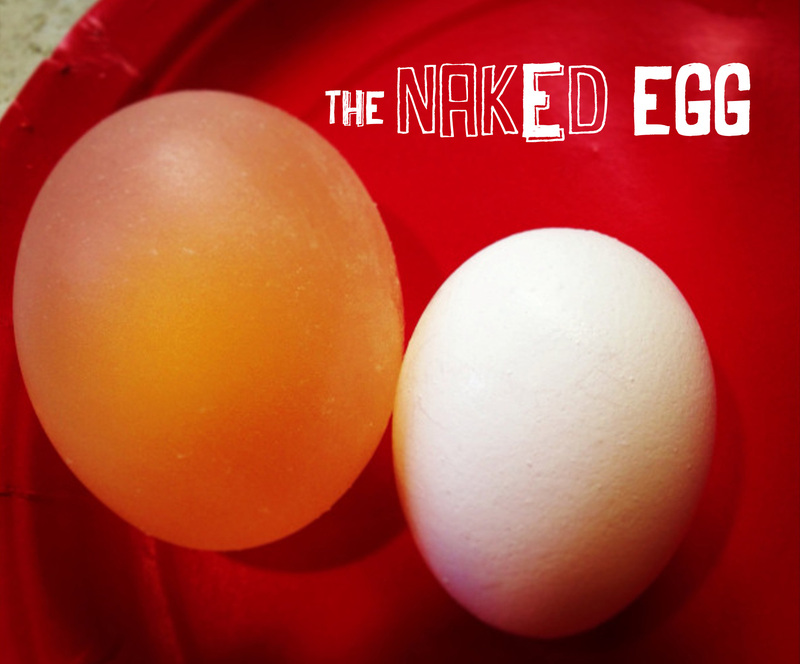 The wax is melted and then it is applied onto a white egg. 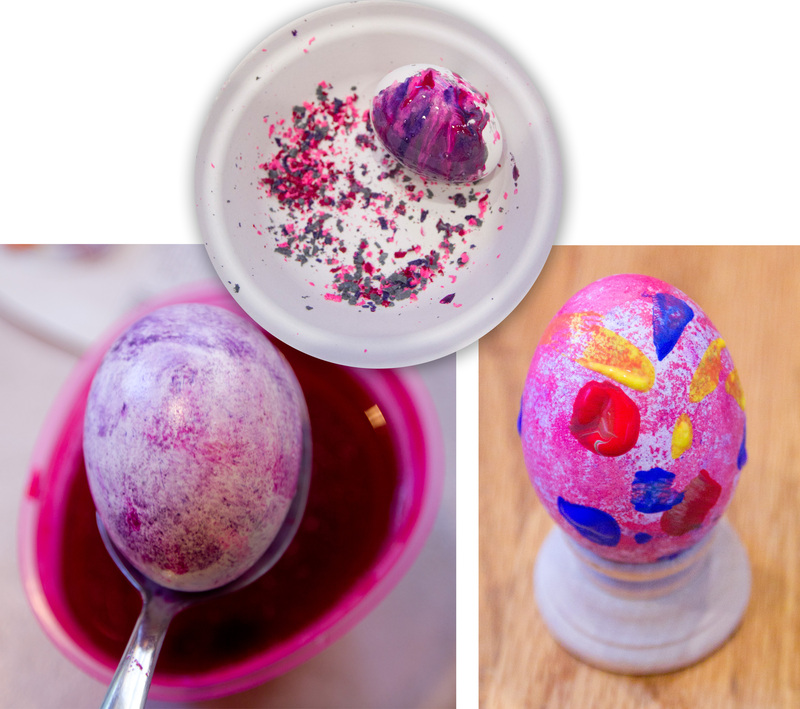 Then you color the egg, add more wax, color again… until you achieve the right effect. 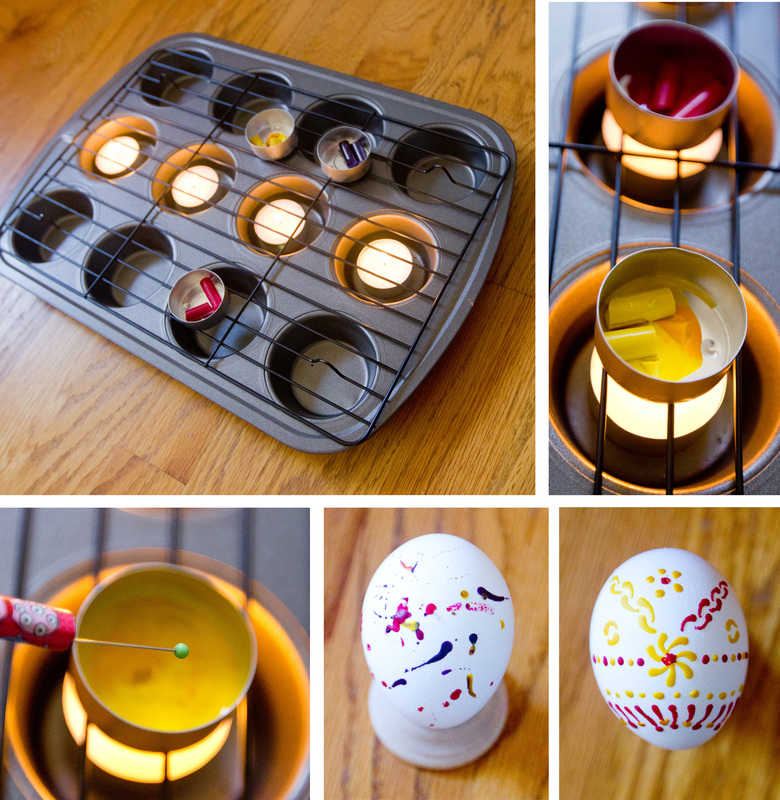 After that you take the egg close to fire and melt the wax away to reveal the colorful lines underneath. 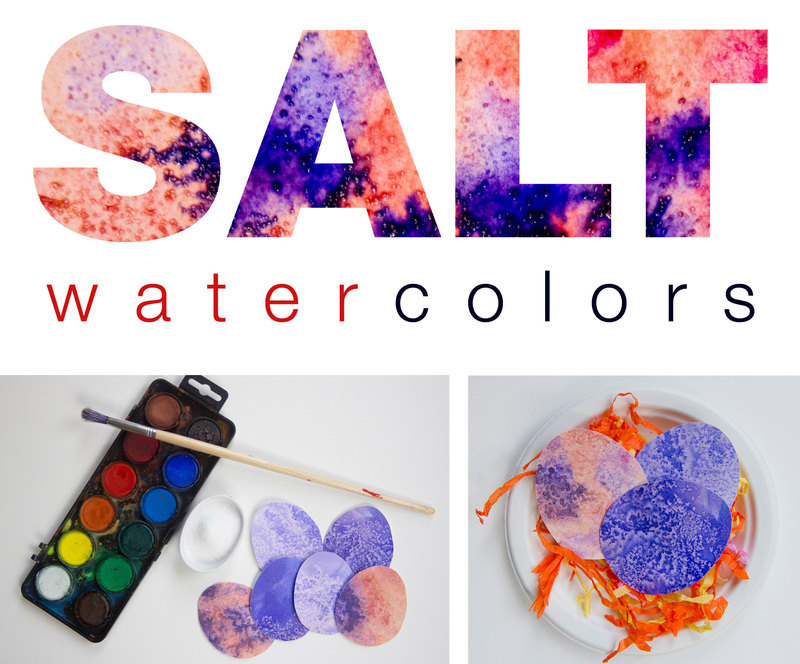 I have always love it and wanted to share it with my kids… so this is a simplified version. 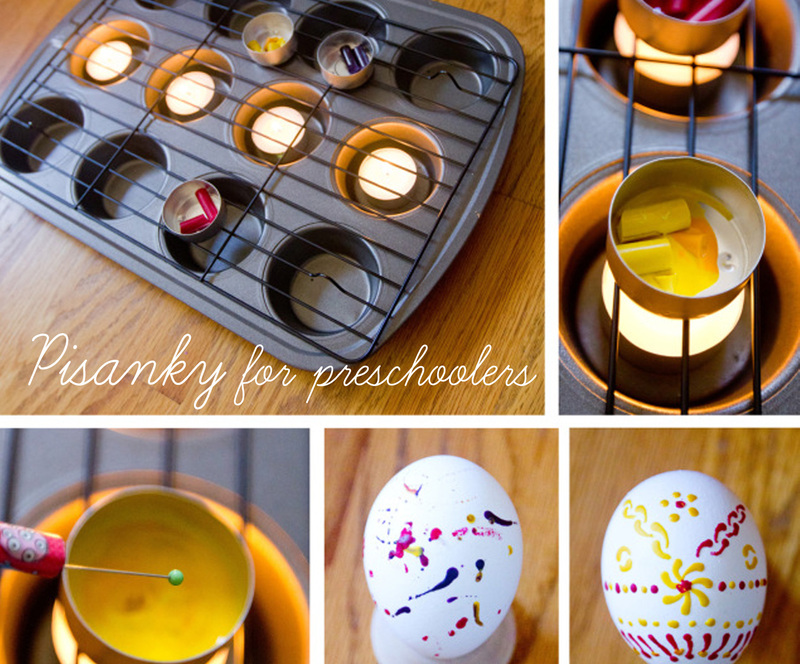 Take a muffin tin and put small candles inside. Put a wire mash or grid onto it – that’s your oven. Then, take couple of the metal containers for the candles and put wax crayons inside. Let them melt (but be careful not to burn them). This has been our favorite technique as well. 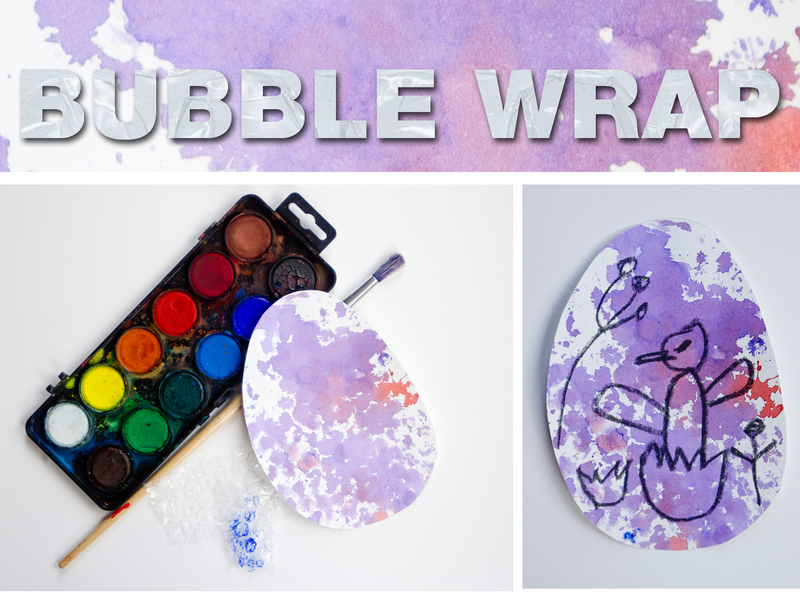 Use watercolors to paint on a bubble wrap instead of on the paper. Kids think it is really fun and they love stamping with it. I’d recommend to cut the wrap into small pieces, the bigger ones can get very difficult to handle… and if your kids decide (like mine) to stamp their face, it will cover only a small part.